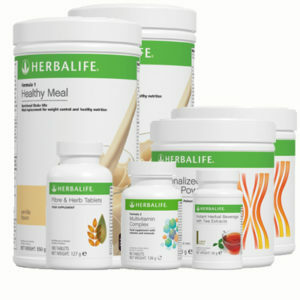 The Weight Loss Ultimate is our biggest package, that will give you the best and fastest results. 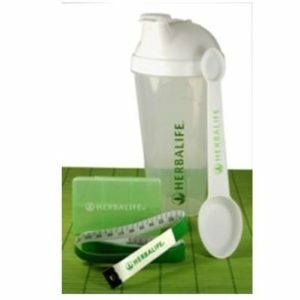 It comes with 2 low calorie meals per day for a month, protein additions as well as other supplements that will help you get achieve the best results in the shortest amount of time. Perfect for you if you feel you have a lot of weight to lose. Click on the individual products to get a more detailed description of what it does. 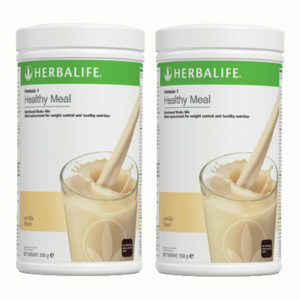 The shake is a replacement meal that has no fats, only 220 calories and lots of vitamins, minerals and proteins. 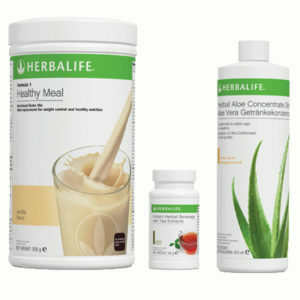 It is ready in less than a minute, keeps you full, and the low calorie count will help you lose weight quickly. 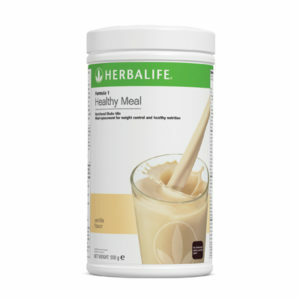 When added to the shake, the protein powder will make it thicker, tastier and more filling. The added proteins will keep you full for longer, and maintain your healthy muscles so you can burn fat faster to get a lean, healthy look. Vitamins and minerals are important so you can stay healthy and active, and achieve your weight loss results as fast as possible. 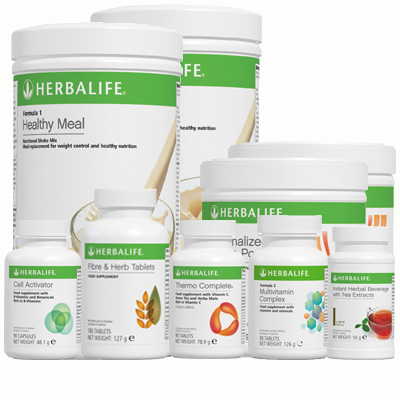 The key vitamins and nutrients found in this complex are some that you may not be getting through your regular daily nutrition, and so the Formula 2 is a key part of all Herbalife programs. 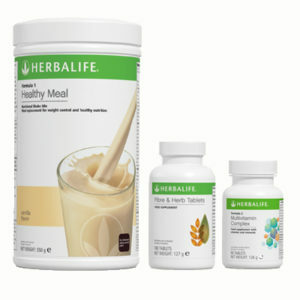 The Fiber & Herb tablets are an easy way for you to hit your RDA of 25g of fiber per day. The additional fiber will help you feel fuller by expanding in your stomach, and will help the transit of food through your body. The Thermojetics Tea is a blend of green and black tea that will speed up your metabolism and help you burn fat faster. It will provide you with energy throughout the day, as well as increase your attention and alertness. A great source of copper and zinc, that boosts your metabolism and helps boost your energy and concentration. A blend of green tea and caffeine to help boost your energy and keep you active during your hectic day. Formula 1 Shake – mix 2 table spoons with 250ml of water or skim milk. Add some fruit according to taste. To maintain your weight, replace one meal a day (preferably breakfast). 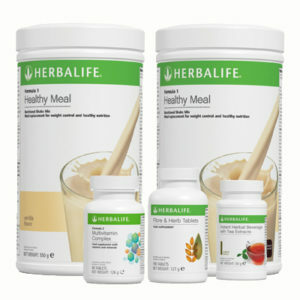 To lose weight, replace 2 meals a day – breakfast and either lunch or dinner. 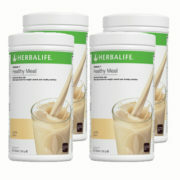 Formula 3 Protein Powder – Mix 1-2 table spoons along with the shake. Formula 2 Vitamins – take 1 tablet before every meal (3 per day). Thermojetics Tea – Mix 1.5 teaspoons with hot or cold water and drink throughout the day. Don’t take too late in the evening if you are sensitive to caffeine. Cell Activator – Take 1 capsule 3 times a day, before every meal.